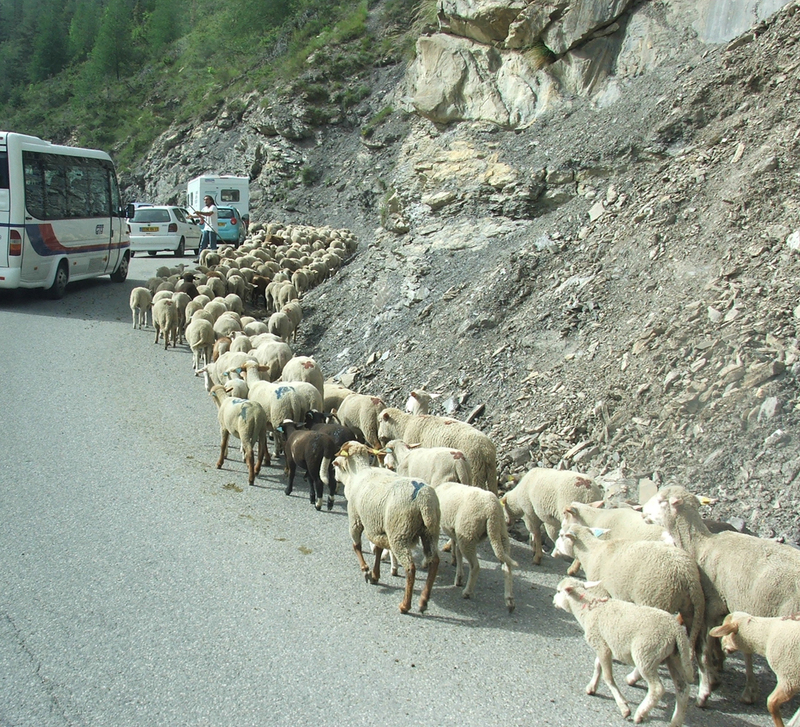 While on a trip to look at some famous turbidites in the French Alps a few years back (the Eocene-Oligocene Annot Formation — where Bouma did his thesis) we were slowed down by a sheep drive (is that the right term?) going up the mountain road. Although it may appear that these sheep are hugging the side of the road to get out of the way of traffic … really they are interested in the siltstone and fine-grained sandstone outcrops. Who else has field photos that include domesticated animals? Check out this post for more about these rocks. Man, those Exxon field trips are packed! Ha! … yeah, and they always wear the same field gear. We had some experiences with nosy cattle during groundwater investigations.